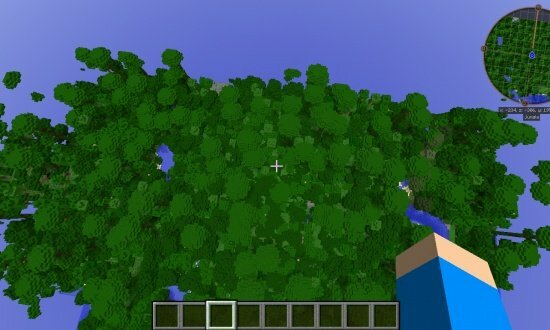 Really cool seed! Spawns you right near two villages (one being half plains and half desert), a not-too-far away Mesa and, most especially, and EPIC Savannah Plateau M Biome! 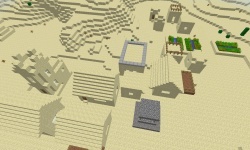 A village you spawn literally right next to. 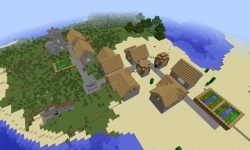 The other village in two biomes. 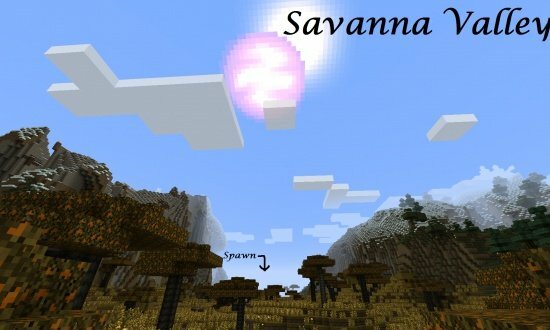 The Savannah Plateau M Biome. 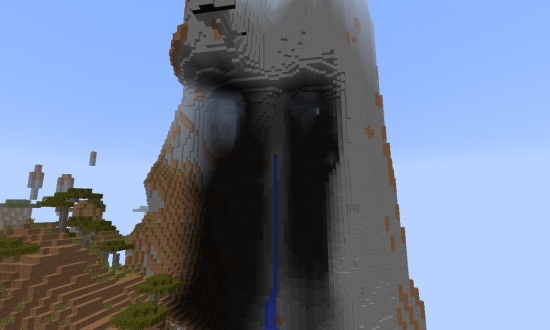 Has to be the BIGGEST mountain I have ever seen! 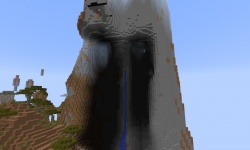 Highest Point is over 200 blocks tall! Reaching the top might be difficult! 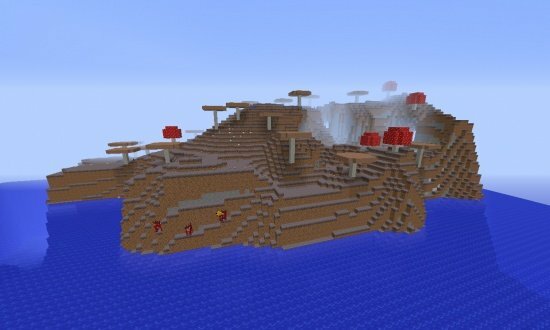 A Mesa biome. 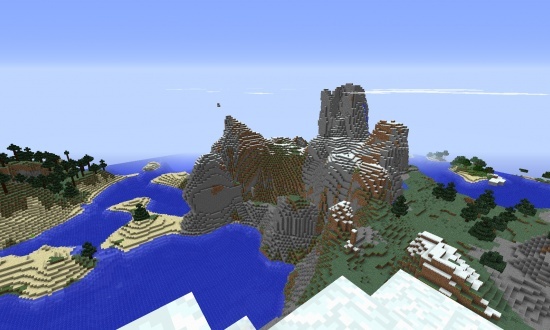 It's far away, but since Mesa biomes are pretty uncommon, I decided I should include it. Awesome ^^ Thank you for the seed. Excellent seed. 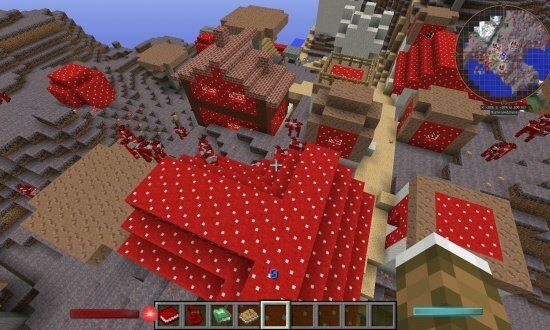 Everything's available within a sensible distance too (for Minecraft, take a mushroom tent kit with you lol). Found quite a few temples. These follow a VERY long path, mostly down a partly dry river (4 on river bank), all the way from the spawn to the nearest jungle. Yes, it's a very long walk when you've just spawned. I wanted my creeper guards asap. -Village 1152,-976 has horses nearby. Mushroom islands 500,-2222 and north. I've set up home on the coast around -456,-57. A nice big relatively flat area in the savanna (green, but no rain!) 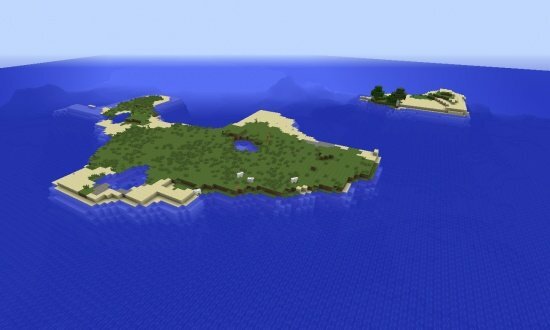 with a small private island and a volcano nearby (open lava on a big hill). Still looking for pumpkins and mob spawners nearby. Wow... You sure found a lot of stuff! Name tag in the chest, I've only found 2 so far! Wow! 25k views?! Amazing! Thank you so much! I never thought it would ever reach that high! Has anyone found saddles and horses yet? Horses are at x: -1134/ z: -705. And there ist a Village at x: 1248/ z: 198 with a Blacksmith and I think there was a saddle, too ... but I'm not sure ^^"
There are horses at x: 157 z:-447. 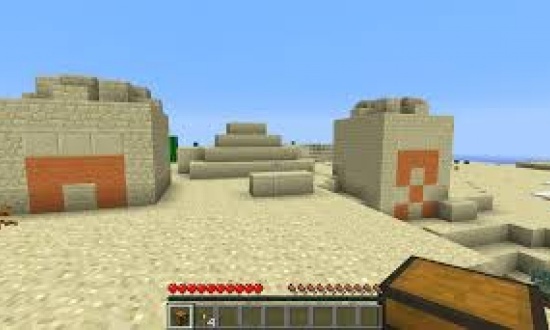 If you go there from the desert village you spawn in you should see pumpkin. Get to the lower level and there are at least 4 excellent chests. I found several different types of horse armour, including 2 diamond ones. This isn't a big fortress, so you should find all of them. Doesn't seem to be a blaze spawner at this one, unless is buried, but there's plenty of wart. The seed is MiningAndCrafting. Type it exactly like that. There is also a weird but good place at: x 28, y 77 and z 75. 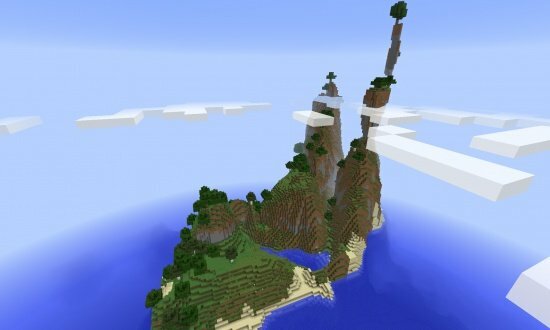 For the Mesa biome, you said that it was far away and you considered not including it. Did you know that you can teleport with the /tp command? 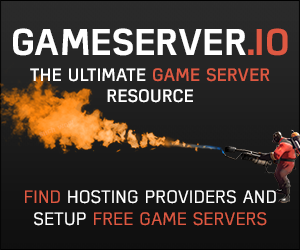 Like this: /tp "Your player's name w/o quotes" "x axis" "y axis" "z axis" Hope this helped you!!! Can't wait 'til 1.8 . The world looks like a postage stamp from those heights. 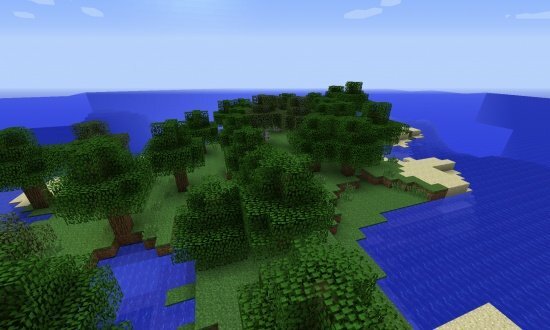 has anyone found any swamp biome?